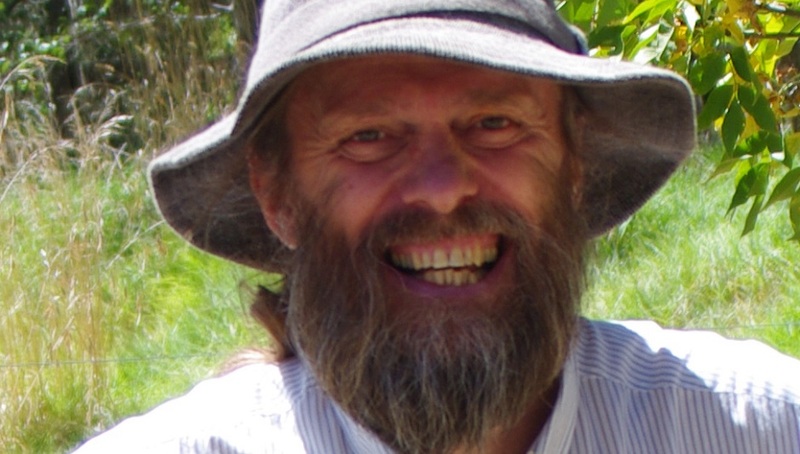 Alan Cadwallader has been involved in education and research for over three decades. He especially enjoys the dirt of ancient artefacts, the dust of old manuscripts and the excitement of new discoveries. He regularly leads workshops spanning everything from human sexuality to the environment, from faith to archaeology. He is a world authority on the ancient site of Colossae in south-west Turkey and the work of bible translation in the Nineteenth Century. An Anglican priest, Alan now researches and writes out of the Centre for Public and Contextual Theology at Charles Sturt University in Canberra, Australia. GL: Where does your passion for archaeology stem from? AC: There’s something about keeping earthed about archaeology, even when satellite technology is being used. The focus is on the human (and ecological) interaction with the earth over time, even when that may have a religious focus and expression. Other than Colossae, what are some of your favourite archaeological sites? Any in Britain? Love Gerasa (modern Jerash) in Jordan — mentioned in Mark’s Gospel. It’s a good 37 miles or more from the Sea of Galilee — so would be quite a marathon for a bunch of pigs to run from there to the water, as in the story of Legion in the gospel. Maybe they were thirsty! And I have such fond memories of the Sanctuary to the Great Gods at Samothrace — such astonishing manipulation of landscape and architecture to intensify religious feeling. As for Britain, I loved the fort-colonia remains at Colchester — and there’s always something exciting to discover at the Roman Museum in Chester itself. What do you consider to be the most precious item you have discovered on a dig, and why? Without doubt the most exciting discovery was an honorific pedestal from Colossae (which had been transported high into the mountain overlooking the site). It recorded the repair of the baths at Colossae in the late first or early second century CE. It was the clinching piece of evidence that demonstrated that Colossae did not “die” after an earthquake in 62 CE but managed its own recovery (even without Roman literary notice). This is closely followed by the discovery of two coins minted by the benefaction of a certain Claudia Eugenetoriane of Colossae (time of Hadrian). She calls herself “widow” on the legend of one of the coins — unique in coins of Asia Minor. How many monumental monoliths have you encountered in your time? How big is that question? Monoliths do vary; sometimes they’re constructed (much like the giant Buddha in Thailand or the Medusa head submerged in the waters of Justinian’s cistern in Istanbul. Sometimes they are natural geological formations that are invested with intense meaning by various peoples — like Uluru in Australia, or the monolith of St Michael that protrudes from the side of Mount Honaz, 3 miles from the city centre of Colossae. Was religion something you were born into or was it something you discovered for yourself? A bit of both really. My dad had long rejected Christianity but felt that his kids should at least know what they were likely going to reject before they did so. For this child at least, something stuck, and received an evangelical booster injection in the teenage years. After that, in some people’s eyes no doubt, it was all downhill (though I like to think that trajectory simply got me back to the earth!). What do you most admire about John Robinson and Jack Spong’s work and legacy? John Robinson was formative for my sense of a larger view of faith, one which did not need to dispense with a sense of spirituality or otherness but which could readily accommodate a more flexible, even contingent vision. His Exploration into God was especially significant, as was his little piece 'MY God in my cancer', written shortly before he died. Jack Spong has always been a model of how to spread what scholars have been debating into an accessible and meaningful encounter for such a wide range of people. I was always struck at his lectures and addresses in Australia how many bods from outside church membership attended and really received encouragement for their continuing if ill-articulated spirituality. Do you view the new developments in the study of the Bible as beneficial or problematic? Love them, although the list of possible methods of interpretation is beyond anyone to master now. However that’s a good thing. It’s a reminder that the human Promethean tendency to know it all, is simply a furphy and that others always have an insight that can supplement, modify or even dismantle what I might have known. Human inquiry, a bit like the yearning of the spirit generally, is always more productive when it isn’t sated. Do you think the effects of contemporary life and culture on the human condition are more or less severe than in the time of the Bible? Oddly enough this flicks us back to the previous question. Contemporary biblical scholarship is considerably preoccupied in working out the relationship between early Christian writings and the ubiquity of Rome (the fatefully abbreviated 'imperial criticism'). This means we need to know so much more about the impact of Rome across the ancient world. Not only has this had enormous contributions to make to biblical studies but it has brought sharp focus on the parallels and differences between Rome and contemporary imperialism by various nation-states. There isn’t that much difference between the conditions of many ancient slaves and modern sweat-shops for example. Can you give us a little taster ahead of the lecture on Saturday? Materialism matters even when it can cause considerable discomfort to those of us who still want to read, interpret and gain sustenance from the bible. Without it, we’re just flying kites into metaphysical unreality. Alan's lecture, Cracking the Monolith: Digging in the Dirt, takes place at Gladstone's Library on Saturday, 10th November at 11.15am. Tickets are priced at £10 which includes tea / coffee before the lecture. To book or for more information, please call Reception on 01244 532350 or email enquiries@gladlib.org.